Upgrade your game by picking up a Babolat Pure Drive Roddick Plus 2012 ($160). The same model being used by Andy Roddick to storm this month's US Open, the Pure Drive Plus features embedded graphite and tungsten for a crisp response and added stability, the Woofer system to cushion ball impact on your strings, Active Cortex vibration dampening technology, and 100 square-inch head that provides an ample sweet spot. Keep your game in shape long after the course has closed for the season with the Rukk Net ($180). This portable sport net pops-up in seconds and stows away nearly as quickly, and also offers high-quality nylon netting, a tough steel frame, a proprietary ball return system, and a weight of only 14 pounds, which means you can carry it anywhere you need to get in a few swings/kicks/throws. You may or may not be old enough to have played with one when you were a kid, but if you did, you'll remember it immediately. The Itza Soft Football ($20) is the ultimate backyard football, made from soft, sticky and squishy rubber that you inflate yourself to the desired hardness — but no matter how much you pump it up, it flies high and soft, making you look like Joe Montana Tom Brady even if you never played a down of Pop Warner. Wax is an essential part of the surfing experience — but finding a place to keep it, not to mention the tools you need to spread it, can be a hassle. 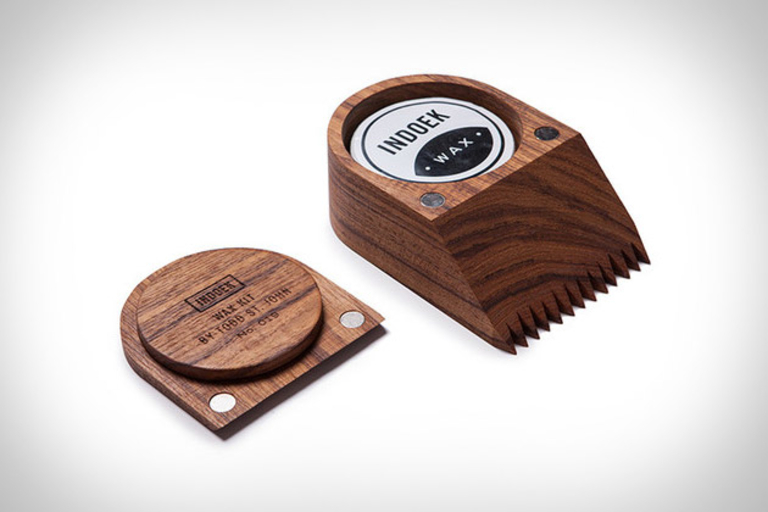 The Indoek Surf Wax Kit ($105) takes care of this problem by integrating a container well into a stylish teak hardwood box that doubles as both a comb and scraper, the latter by way of the removable, magnetically-attached lid. All you need now is a board and some waves. For all of Ping's drivers — and they do make some great ones — there's been a noticeable hole in their lineup: an adjustable model. The Ping Anser Adjustable Driver ($440) fills this gap, offering a low-spin, 460cc head crafted from Ti 8-1-1 — a light, low-density alloy with a matte black finish — and the ability to add or subtract half a degree of loft using the adjustable hosel. Available with your choice of four high-performance shafts. Sure, a lot of the team might get wiped out in the movie — we know you watched the trailers, so it's not like we're spoiling anything — but that doesn't mean you can't show your Dark Knight spirit by sporting some Gotham Rogues Under Armour Gear ($30-$300). For a fictional squad, they've got some swank getup, including adjustable caps, tees, hoodies, varsity jackets, and, yes, a jersey, complete with field-ready embroidered numbers, stretch side panels and shoulders, and the signature moisture transport system to wick sweat away from your body, lest the action scenes turn you into a cola- and grease-soaked mess tomorrow at the midnight showing. Let's face it: it's hard to make par when you're only hitting your drives 200 yards. That won't be a problem with the TaylorMade R11S Driver ($400). Featuring 3º Flight Control Technology, an all-new 5-way Adjustable Sole Plate, and Moveable Weight Technology, this 460cc driver can be tuned for 80 separate launch settings, ensuring that you can find one that suits your natural swing, while the classically-shaped, oversized white clubhead gives you all the confidence you need to stare down even the longest par 5.